Penn State claimed its eighth-straight victory in the rivalry under College Football Hall of Fame coach Joe Paterno, as John Cappelletti won the College Football Hall of Famer rushing duel versus Pittsburgh’s Tony Dorsett. Cappalletti, the 1973 Heisman Trophy winner, outgained 1976 Heisman Trophy winner Dorsett 161-77 as the Nittany Lions bounced back from a 13-3 deficit with 32 unanswered points in the second half. Carson Long’s two field goals and Dorsett’s 14-yard score in the first half gave the Panthers hopes of an upset. Penn State’s defense shut down the option attack in the second half, sacking quarterback Billy Daniels three times and holding Pitt to seven yards rushing. The Nittany Lions finished with a perfect 12-0 record and a No. 5 ranking after a win over LSU in the Orange Bowl. Pittsburgh wrapped up the season at 6-5 after a loss to Arizona State in the Fiesta Bowl. 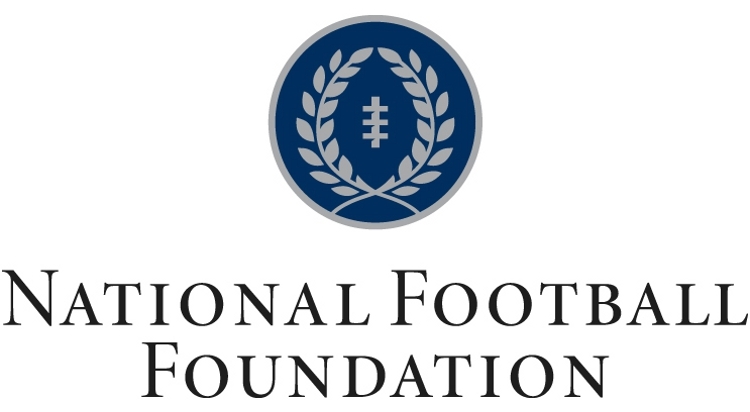 Four NFF National Scholar-Athletes took the field in this game: Penn State’s Mark Markovich (1973) and John Baronas (1974) and Pittsburgh’s David Blandino (1973) and Todd Toerper (1974). In front of a record crowd at Arizona Stadium, College Football Hall of Fame coach Darrell Mudra’s No. 4-ranked defense shut down Wyoming’s running game, limiting the Cowboys to just 27 yards. Wyoming, who was forced to punt 11 times, relinquished a 16-game WAC winning streak that had begun on Nov. 5, 1966. After an exchange of touchdowns in the first half, Arizona secured the winning touchdown with 7:12 remaining after a fumble recovery at the Wyoming 28-yard line set up fullback Ed Mitchell’s scoring plunge from one yard out. Despite the loss, the Cowboys claimed their third consecutive WAC title with a 7-3 record and a 6-1 mark in the conference. The Wildcats, featuring 1968 NFF National Scholar-Athlete William Moody, finished with an 8-3 record after a loss to Auburn in the Sun Bowl. Indiana completed its Cinderella season with an upset of No. 3 Purdue to earn a three-way share of the Big 10 title and a trip to the Rose Bowl. Hoosiers’ senior fullback Terry Cole charged 42 yards to set up Jade Butcher’s seven-yard touchdown reception, racking up 63 yards in the second quarter. His efforts helped Indiana take a 19-7 lead into the half. Fullback Perry Williams scored his second touchdown for the Boilermakers to cut the lead to five, but Purdue couldn’t overcome four fumbles. Purdue’s College Football Hall of Fame halfback Leroy Keyes rushed for 114 yards before leaving in the final period due to injury. The Hoosiers, featuring 1969 NFF National Scholar-Athlete Harry Gonso, finished the season with a 9-2 record, their first winning season since 1958 and winningest season since 1945. Indiana claimed a No. 4 ranking after a loss to eventual National Champion USC in the Rose Bowl. The Boilermakers, under College Football Hall of Fame coach Jack Mollenkopf, finished with an 8-2 record. If Vanderbilt had held on to its 14-7 lead after the third quarter, the Sugar Bowl “would have sent for the Commodores in a golden coach,” according to a local reporter. Instead, Vanderbilt’s Knoxville curse lived on as the Commodores lost their eighth-straight at Shields-Watkins Stadium. Vanderbilt established the lead with touchdown runs by halfback Charley Horton and fullback Phil King in the second and third quarters, respectively. Tennessee tied the game as College Football Hall of Fame tailback Johnny Majors, the SEC’s leader in total offense, found Buddy Cruze in the end zone on a trick pass play. The Volunteeers’ substitute tailback Al Carter threw a 43-yard bomb to Bill Anderson for the game-winning score. Vanderbilt finished with an 8-3 record after a win over Auburn in the Gator Bowl. Tennessee finished with a 6-3-1 record in its first season under Hall of Fame coach and player Bowden Wyatt. College Football Hall of Fame coach Frank Broyles earned his 100th career victory behind a three-touchdown performance by tailback Bill Burnett. Burnett increased his season touchdown total to 19, breaking the school scoring record set by his brother, Bobby, in 1965. Facing a tough Arkansas defense including defensive back Terry Stewart, a 1969 NFF National Scholar-Athlete, Texas Tech failed to gain a single first down until the second quarter and could not put points on the board despite three trips to the Razorbacks’ red zone. Arkansas racked up five interceptions against the Red Raiders. Texas Tech finished the season with a 5-5 record. The Razorbacks, featuring Hall of Fame receiver Chuck Dicus, lost to Mississippi in the Sugar Bowl to fall to 9-2 and No. 7 in the final AP Poll. Coming off an appearance in the 1986 Division I-AA National Championship, Arkansas State was poised to make a run in the 1987 playoffs, beginning with a road match against College Football Hall of Fame coach W.C. Gorden’s Jackson State Tigers. The Red Wolves fumbled the ball away three times in the first half, allowing the Tigers to take a 10-0 lead. A wild second half resulted in five touchdowns for the Red Wolves on just seven possessions. Arkansas State scored on a 62-yard run-based drive, and then a 35-yard pass from Dwane Brown to Fred Barnett to keep the Red Wolves in the game, only down 17-10 going into the final quarter. Rushing scores by Barnett and Kenneth Nelson cut the lead to 32-28, and a 62-yard interception return by Stacey McGee secured the win for Arkansas State. In an effort to avoid throwing in the direction of Jackson State’s Hall of Fame safety Kevin Dent, the Red Wolves collected 306 yards on the ground. The Tigers ended the season with an 8-3-1 record. Arkansas State ended the season with an 8-4-1 record after a loss to Northern Iowa the following week. Minnesota Duluth’s sophomore linebacker Kiel Fechtelkotter, sporting a cast on his left hand, needed only one good hand to snag the biggest interception in program history to down the top-ranked Grand Valley State Lakers in the Division II Quarterfinals. The Lakers took a 3-0 first quarter lead on a field goal by Todd Carter, who missed three of his other four attempts in the game. The Bulldogs answered just seconds into the second quarter, when quarterback Ted Schlafke hit running back Isaac Odim, a 2010 NFF National Scholar-Athlete, for a 16-yard touchdown. Ahead 7-6 at halftime, UMD extended its lead to 13-6 on Schlafke’s second touchdown pass, this time a 34-yard strike to D.J. Winfield. Grand Valley State tied the game with just a minute to play in the final quarter on a touchdown pass from Brad Iciek to John Mathews. After both schools failed to convert in the first overtime, the Bulldogs took a 19-13 lead on a two-yard plunge by Odim. As Iciek was attempting to find Mathews to tie the game, Fechtelkotter tracked down the ball and made the one-handed grab to end the game. Minnesota Duluth ended the season with a perfect 14-0 record as NCAA Division II National Champions after a 21-14 win over Northwest Missouri State in the title game. Grand Valley State fell to 11-1 with the loss.